Happy Friday from Norman. This happy, 4 year old dude is so smart and loves to play, plus has the best smile that is sure to light up your day! This guy is the full package, he loves humans and has a great temperament. 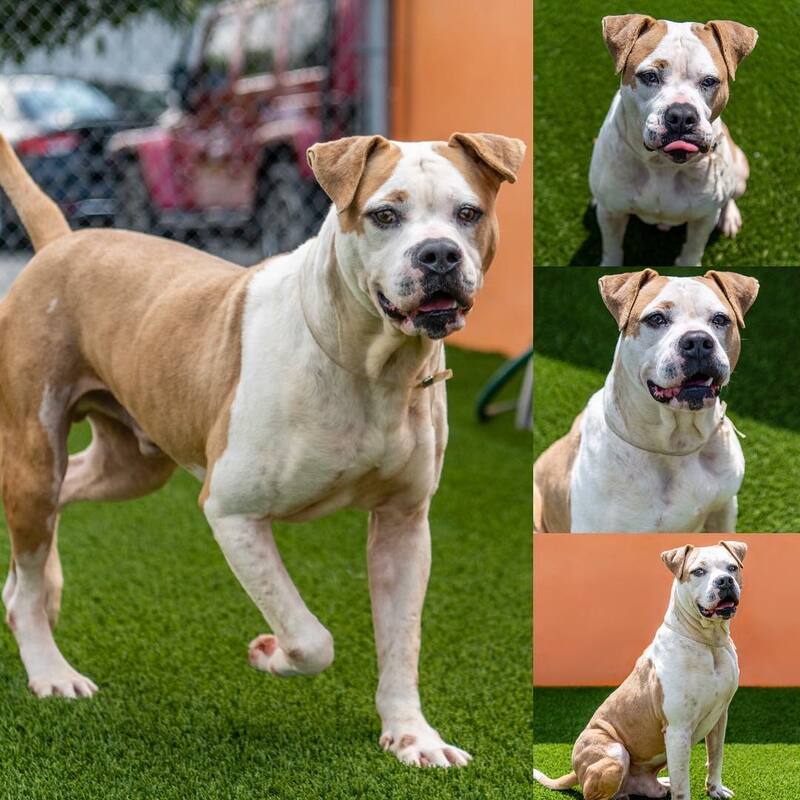 Norman #A2005052, is a male white and brown American Bulldog and weighs 71 pounds. The shelter did issue a plea indicating he has a mandibular fracture. Please request medical records (pets@miamidade.gov) for the full Medicals. @sit.snap.save .